Page 313 Main index for news issued by the Send2Press® Newswire Service. CHICAGO, IL /Send2Press Newswire/ — When Chicago author, Carrie Carr, decided to spruce up her life with a little excitement, she knew exactly what was needed – romance, and lots of it. Armed with a positive attitude, she ventured into the world of personal ads. Her debut novel, ‘Single Black Female,’ mimics her own amusing experiences and fictionalizes the consequences of falling helplessly in love with a married man. Wed, 19 Jan 2005, 16:49:00 EDT | From: ElectionMall Technologies, Inc.
LOS ANGELES, Calif. /Send2Press Newswire/ — When a company needs to get a marketing message out to targeted audiences very quickly, nothing works better than the radio commercials called ‘Hot Spots’ from G-Man Music & Radical Radio, states Brian Forest, spokesperson for the Los Angeles production company. BROOMALL, PA /Send2Press Newswire/ — Ronald Maslow joins the Expo Logic team as Director of Sales, according to Jeffrey Cooper, president and chief executive officer. Expo Logic is the leading provider of registration, lead management, interactive technology and PC rental services for the corporate conference and exposition industries. New Book by Geoff Hoff and Steve Mancini Asks: Can a Gay and a Straight Guy Inhabit the Same Novel Without Driving Each Other Crazy? VENTURA, Calif. /Send2Press Newswire/ — Joseph Coaler Productions (www.JosephCoaler.com) today announced the publication of ‘Weeping Willow Volume One: Welcome to River Bend,’ by Geoff Hoff and Steve Mancini, a novel comprised of the first fifteen installments of Hoff and Mancini’s on-line satirical soap opera of the same name, which has become a cult sensation among cyber serial fans and comedy enthusiasts. Mon, 17 Jan 2005, 12:19:00 EDT | From: AcXess Inc.
ORLANDO, Fla. /Send2Press Newswire/ — Today at Solution Summit(R), a meeting of over 2000 Citrix(R) partners, value added resellers and customers, AcXess(R) Incorporated announced the first ever Business Continuity Service Solution built exclusively around the Citrix Access Infrastructure(tm) platform. The AcXess Solution(R) makes rapid business & IT recovery easy and affordable for mid-market firms. In the event of a disruption to its Citrix environment, AcXess Solution customers can be fully operational in hours, instead of days or weeks. Mon, 17 Jan 2005, 12:12:00 EDT | From: Dialpad Communications, Inc.
DALLAS, TX /Send2Press Newswire/ — Manufacturers, distributors, retailers, dealers and parts suppliers have a new and innovative medium for offering up products and services to the firearms industry. The Firearms Industry Association has launched an online business-to-business clearinghouse website that allows businesses to post Internet ads for merchandise or services for sale. The Firearms Industry Market is strictly for wholesale transactions, not for consumers. Wed, 12 Jan 2005, 13:54:00 EDT | From: Brooks Internet Software, Inc.
IDAHO FALLS, ID /Send2Press Newswire/ — In response to growing demand for a flexible, reliable, and secure IPDS printing solution, Brooks Internet Software, Inc. has released ExcelliPrint(TM) (www.excelliprint.com). Designed for users who want more choice in selecting print destinations and output types in their IPDS and AFP(TM) environments, ExcelliPrint builds on Brooks’ extensive knowledge of printing and broadens its current line of proven print software. DENVER, CO /Send2Press Newswire/ — On January 3, 2005, Vend-Tel-Co, Ltd., a small business from Fort Collins, Colorado won a federal trademark lawsuit against skiing giant Vail Associates, Inc. over the right to use 1-800-SKI VAIL. In the lawsuit, Judge Matsch of the U.S. District Court determined that Vail Associates could not use its registered trademark VAIL to prevent Eric Hanson from using his registered trademark, 1-800-SKI VAIL. The small business makes well-priced condo, hotel, and resort reservations at a variety of ski area locations through dozens of 1-800-SKI phone numbers. LONG BEACH, Wash. /Send2Press Newswire/ — America’s newest retro car, the 2006 Chevy HHR, gets its own club and web site: HHR Club (www.hhrclub.org). Most who travel to the big auto shows in Los Angeles and Detroit in January each year go to see the new cars. HHR Club’s founder, Mike Challis goes to watch the people looking at the new cars. PIGEON FORGE, TN /Send2Press Newswire/ — Group Travel Planet, LLC (www.grouptravelplanet.com) and SideStep (www.sidestep.com) have entered into a business development partnership that will allow SideStep customers to book and manage their group hotel rooms of five rooms or more directly online, saving them valuable time and money. Tue, 11 Jan 2005, 11:23:00 EDT | From: Management Dynamics, Inc.
EAST RUTHERFORD, NJ /Send2Press Newswire/ — Management Dynamics, Inc., the market leader in price and contract management solutions for the international transportation industry, today announced it has acquired BridgePoint, an established provider of supply chain visibility and event management solutions. The acquisition combines the strengths of both organizations to create a portfolio of on-demand solutions that manage and optimize global supply chains. Terms of the deal were not disclosed. DETROIT, Mich. /Send2Press Newswire/ — MusicOnHold.com launches a new business-to-business Request for Quotation (RFQ) service which enables buyers of on-hold and in-queue messaging to locate trusted and proven suppliers and agencies in their backyard or across the nation. Within hours, buyers can receive up to four competitive proposals so buyers can compare their options side-by-side and make informed decisions about who they want to do business with. Dallas Judge Agrees with Lance Armstrong in Legal Case announced by Herman Howry & Breen L.L.P. Mon, 10 Jan 2005, 19:16:00 EDT | From: Herman Howry & Breen L.L.P. AUSTIN, TX /Send2Press Newswire/ — Austin resident and six-time Tour de France winner Lance Armstrong insists he has always played by the rules. Last week, a Dallas district court judge ordered that a sport promotion company involved in a legal case with Armstrong do the same. MOUNTAIN LAKES, NJ /Send2Press Newswire/ — The symptoms: fevers that rise when stock prices fall … swollen costs … anemic sales … tired production … and dull fuzziness, often accompanied by confusion and panic, in the headquarters. Right Fix for Corporate Sniffles Not ‘Off-Peopling’ Pill But ‘Hyper-Human’ Injection. Mon, 10 Jan 2005, 12:47:00 EDT | From: iExplore, Inc.
CHICAGO, IL /Send2Press Newswire/ — iExplore (www.iExplore.com) announced today the list of Top Ten World Travel Destinations as determined by the vacation purchases of its adventure and experiential travelers in 2004. ASPEN, CO /Send2Press Newswire/ — As a result of a heart-melting gift to her friends, of an Indian children’s dance to launch a wiser New Year, Denise Rich, Aspen’s Grammy award-winning philanthropist, is helping the tribes get their message out to the mainstream on how to heal the Earth and prevent natural disasters, in the wake of the devastating Tsunami. Thu, 06 Jan 2005, 16:15:00 EDT | From: Thomas D. Mangelsen, Inc.
OMAHA, NE /Send2Press Newswire/ — Images of Nature(R) today announced they will donate $2.00 for each 2005 calendar sold in their stores and online during the month of January to UNICEF Tsunami Relief. Funds will go to helping thousands of children that are at great risk following the earthquake and tsunamis that hit coastal areas across South Asia on December 26. ROCKVILLE CENTRE, NY /Send2Press Newswire/ — Architect Donald J. Berg, the author of many books on historic architecture, has just published a Web site about some of today’s most popular buildings. It’s called aBetterGarage.com, and it’s an extensive directory of garage building plans, kits, products and services. LOS ANGELES, Calif. /Send2Press Newswire/ — Christopher Curry, Technology Consultant for Shrimpo LLC, has challenged Osama Binladin and the Binladin family to provide aid for those thousands affected by the tsunami disasters in South-East Asia. Thu, 06 Jan 2005, 11:42:00 EDT | From: Dialpad Communications, Inc.
MILPITAS, CA /Send2Press Newswire/ — Dialpad Communications, Inc. (www.dialpad.com), a leading global provider of Voice over Internet Protocol (VoIP) services, today announced the availability of its new unlimited calling service, DialpadUSA. Now available to consumers nationwide, DialpadUSA allows users to make unlimited calls to the United States (U.S.) and Canada for a low monthly fee of $11.99. In addition, the new service comes with a broadband adapter, the dpPhone, which bridges the gap between VoIP and the traditional telephone network (PSTN) by combining the two services into one phone. The Greatest Thing to Happen to the Remote Control Since Infrared! Thu, 06 Jan 2005, 11:29:00 EDT | From: Next Generation Home Products, Inc.
LAS VEGAS, NV – CES /Send2Press Newswire/ — Next Generation Home Products, Inc. (www.nghp.net), Port Richey/Tampa, Florida, announces availability of the newest version of their award-winning Remote ‘Long Ranger’ Xtender(tm) at the 2005 Consumer Electronics Show (CES). SYNC Technologies Declares 2004 Project a Success – Completes Customer Service System for Detroit Water & Sewerage Dept. DETROIT, MI /Send2Press Newswire/ — SYNC Technologies, Inc. declares 2004 a successful year with the completion of the new Customer Billing and Management System (CBMS). The system was cutover without incident for the nation’s third largest water utility, the Detroit Water & Sewerage Department (DWSD). The project not only replaced an antiquated legacy system, but also SYNC completed the implementation on schedule and on budget. DWSD had so much confidence in the SYNC Project Team that they launched the system on the busiest day of the month in 2004. TRAVERSE CITY, MI and NEW YORK CITY, NY /Send2Press Newswire/ — New York University’s (NYU) Center for Publishing and ForeWord Magazine (www.forewordmagazine.com) announced today a collaborative project to launch a new publishing industry survey of small presses. The goal of the first annual survey is to discover current and coming trends in marketing, distribution, and sales, which will be usable to these publishers in their own planning strategies. BOSTON, MA /Send2Press Newswire/ — Industry Magazine (www.industrymagazine.com), a national franchise publication based in Orlando, Florida, today announced the February, 2005 launch of their Boston edition, which will combine Industry Magazine’s national entertainment, fashion, lifestyle and culture coverage with local editorial content. SUMMIT, NJ /Send2Press Newswire/ — ArtMolds (www.artmolds.com), a New Jersey based manufacturer of art kits, mold-making and casting materials, today announced that it has joined forces with the Association of Lifecasters International (ALI) to co-sponsor the first annual Life Casting Awards for outstanding artistic achievement in the service of humanity. TULSA, OK /Send2Press Newswire/ — Raynece Leader-Thompson was only thirteen when she created the Math-a-Mania(tm) game that makes learning math fun for children and adults. As she accepted invitations to demonstrate the game for school districts across the nation, she saw first-hand the lack of supplies in many of the classrooms. As sales of ‘Math-a-Mania(tm)’ increased, Raynece asked her mother Johnece, president of the games distributor Math Workz, LLC, to help find a way they could fill this need. The ‘Teachers’ Wish List’ is a result of this desire. Wed, 05 Jan 2005, 11:27:00 EDT | From: Napatech Inc.
MOUNTAIN VIEW, CA and COPENHAGEN, Denmark /Send2Press Newswire/ — Napatech today announced the immediate availability of the industry’s first 8×1 GIGABIT PROGRAMMABLE TRAFFIC ANALYZER NETWORK INTERFACE CARD. The 8×1 Gigabit NT8FT Traffic Analyzer NIC is the most powerful and the only fully programmable traffic analyzer NIC available on the market today. FAIRFIELD, NJ /Send2Press Newswire/ — Leading Nutraceutical manufacturer Sterling Grant Laboratories has entered the crowded smoke cessation market with a nicotine free lozenge, NicCess. The active ingredient in NicCess, Cesteminol 350, has been shown to be statistically effective in as little as 21 days and no later than 37 days. Fri, 31 Dec 2004, 15:08:00 EDT | From: Dialpad Communications, Inc.
MILPITAS, Calif. /Send2Press Newswire/ — Dialpad Communications(R), Inc., a leading global provider of Voice over IP (VoIP) solutions, announced today that it has lowered its termination rates to 380 destinations around the world. The average reduction is 27% with some routes lowered by as much as 60%. OKLAHOMA CITY, OK /Send2Press Newswire/ — American Health Partners (www.ahpartners.com), of Oklahoma City, has been chosen by ThyroTec, a New Jersey based medical products development company, to launch a presence in the market, establish brand equity, finalize product packaging, and develop and implement all sales and distribution functions for ThyroTest(TM), a new FDA approved, CLIA Waived rapid hypothyroid diagnostic screening device. Wed, 29 Dec 2004, 18:46:00 EDT | From: Visual Frontier, Inc.
TAIPEI, Taiwan /Send2Press Newswire/ — Visual Frontier Inc. (OTC BB: VFTR) announced that it has signed a contract with Taiwanese electronics dealer MRT Communication Ltd. (www.mrt-communication.com) to supply various hard disk enclosure products to be distributed to customers in Taiwan, the United States and Germany. Under the agreement Visual Frontier will provide 3.5 and 2.5-inch HDD (USB 2.0 and 1394 interfaces) to be sold under various brand names through MRT Communication and its customers worldwide. 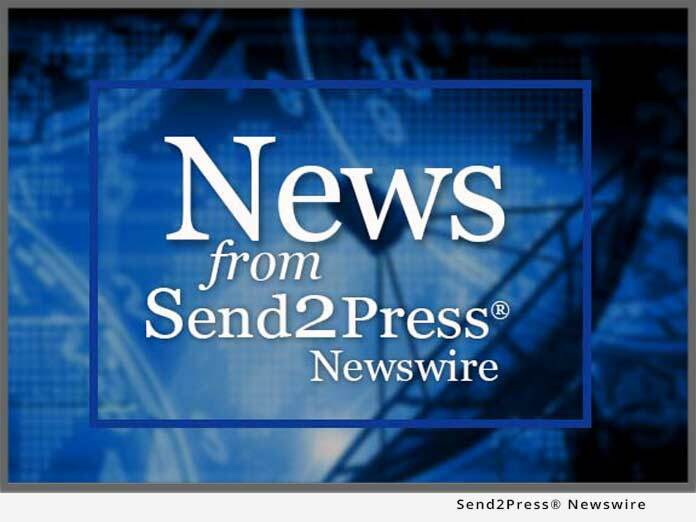 PHOENIX, AZ /Send2Press Newswire/ — Today marks a new era for consumers, entertainment companies and advertisers. The Boloto Group (www.bolotogroup.com), an Arizona based technology firm introduced a revolutionary free software, titled the Library Card(tm) that makes possible the next generation Internet. The Library Card is an electronic pass that consumers use to access features of the web by filling out a simple registration. With the Library Card, users will be able to unlock a private community that provides access to products, services and entertainment ranging from online dating to career connections, personal finance to multi-lingual communications, and media, all for free. Tue, 28 Dec 2004, 17:52:00 EDT | From: ThyroTec, Inc.
HONEY BROOK, PA /Send2Press Newswire/ — Thanks to FDA approval of ThyroTest(tm), a new rapid hypothyroid diagnostic screening device from ThyroTec, Inc., detection of a common thyroid disease will now come sooner rather than later for millions of Americans. More Americans suffer from thyroid disease than diabetes and cancer combined.